excellence and the passion that drives the hotel’s staff. We recommend this beautiful hotel to visitors looking for a worry-free holiday close to the beach. The prestigious Versilia Lido | UNA Esperienze is located in Lido di Camaiore, just 30 metres from the beach and a stone’s throw from the many restaurants and bars that bring the seafront to life. Set in the heart of lively Versilia, the hotel is the perfect spot for holiday-makers looking to combine a Tuscan beach holiday with outings to discover beautiful art heritage cities such as Lucca and Pisa. A 4-star hotel on the beachfront of Versilia, Versilia Lido | UNA Esperienze stands out thanks to the simple and modern design of its indoor areas with their large windows overlooking the well-tended garden and the close-lying Tyrrhenian Sea. The hotel offers guests two restaurants, a wellness centre, an outdoor pool with sundeck and a well-appointed congress centre. The 99 rooms at Versilia Lido | UNA Esperienze all have a fresh and modern design and also include 30 apartments that offer families and other visitors a perfect balance between comfort and freedom. The hotel also has 6 adapted rooms available for guests with limited mobility. All rooms provide free Wi-Fi and Screen Mirroring TV. Classic – 20 sq.m., double bed or twin beds, furnished terrace. Superior – 20 sq.m., double bed or twin beds, furnished terrace, side sea view. 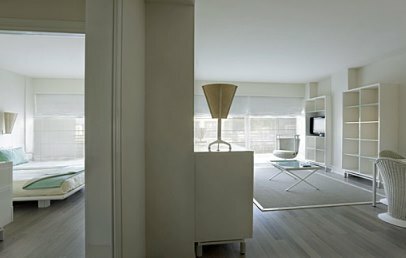 Junior Suite Standard – 45 sq.m., double bed or twin beds, separate day area, furnished terrace. Junior Suite Deluxe – 52 sq.m., double bed or twin beds, separate day area, furnished terrace. Junior Suite Side Sea View – 52 sq.m., double bed or twin beds, separate day area, furnished terrace, side sea view. The hotel lies just 30 metres from the beach of Lido di Camaiore, famed for its expanse of fine golden sand and views of the Apuan Alps. Guests have access to the beach (not private) that has an agreement with the hotel, equipped with beach umbrellas and sun beds. Versilia Lido | UNA Esperienze’s wellness centre overlooks the garden and offers guests a 15 metre heated pool with spa relaxation facilities: sauna, Turkish bath, sensory showers. Wellness and relaxation treatments can be booked, as recommended by qualified professionals. Guests can make use of the 25 metre outdoor pool, the gym fitted with Technogym equipment and two hard court tennis courts that can be used for free from 9:00am until 8:00pm upon reservation. Welcoming rooms, qualified staff, and services especially designed for our younger guests: you will find everything you need for a relaxing family holiday at Versilia Lido | UNA Esperienze. We offer our younger guests large shaded outdoor spaces for playing and relaxing, swimming classes, sports and recreational activities, a kids corner with babysitter services (from June to September and during public holidays). The restaurant welcomes children of all ages with special menus, bottle heating facilities, high chairs and welcome ice-cream vouchers. Guests can enjoy fresh fish from the Tyrrhenian Sea and the best-known Tuscan specialities at the hotel’s two restaurants. On the ground floor, UNA Restaurant’s large and elegant dining room, with capacity for up to 200 diners, overlooks the gardens. From June to August, the spectacular Roof Garden offers the opportunity to enjoy a barbeque or cocktail on the hotel’s panoramic terrace with views over the sea (reservation recommended). 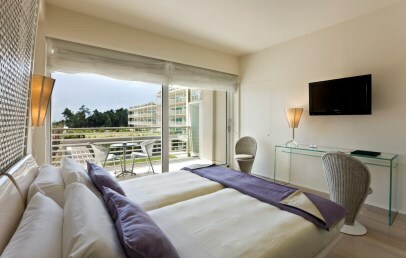 The room rate includes use of the hotel’s common areas: wellness centre, gym, tennis courts, swimming pool and sundeck. Other free services include Wi-Fi, private car park, minibar in guest rooms and the BookCrossing corner. Spa treatments are available at additional cost. Small pets are allowed from May to September. 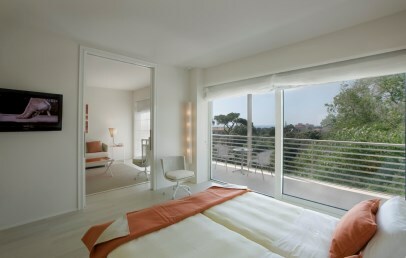 Welcoming double or twin rooms with a simple and modern design, Classic Rooms offer a large 8 sq.m. terrace furnished with chairs and a table. The en-suite bathroom has either a bathtub or shower. 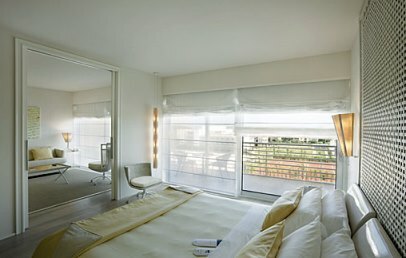 Spacious full-comfort rooms, Superior Rooms offer a large terrace with side sea view, furnished with chairs and a table. The en-suite bathroom has either a bathtub or shower. Comfortable two-room suite made up of a living room, double or twin bedroom and 16 sq.m. terrace furnished with chairs and a table. Rooms are decorated in a modern style with relaxing soft colours. The en-suite bathroom has a bathtub and a shower. With a modern design and featuring shades of white, the Junior Suite Deluxe offers a large living room, double or twin bedroom, walk-in wardrobe and 16.5 sq.m. terrace furnished with chairs and a table. Some rooms also offer a kitchenette (at a supplement). The en-suite bathroom has a bathtub and a shower. Large double or twin room, large separate living room and walk-in wardrobe: the Junior Suite is a spacious suite with a modern and minimalist style. The room offers a 16.5 sq.m. terrace with side sea view. Some rooms also offer a kitchenette (at a supplement). The en-suite bathroom has a bathtub and a shower.